Being a Friday after a holiday, I slept in & am thinking of having a nice slow breakfast with toast & jam. What better way to continue celebrating Canada than with homemade jam? 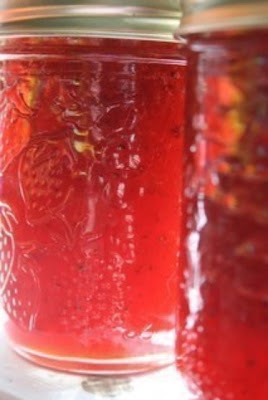 This rhubarb berry vanilla jam from bovinebubbles sounds delish! I've had her strawberry lemon jam before & it was amazing! This photo makes it look delicious!